February is National Heart Month and Valentine’s Day is around the corner, so it’s a great time to talk about the health benefits of chocolate. Chocolate is a powerful antioxidant and is loaded with nutrients particularly minerals which are hard to get in adequate amounts in the traditional American diet. 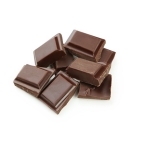 If you eat quality dark chocolate with a high cocoa content, you will be getting plenty of flavanols. Flavanols are phytonutrients that have profound positive effects on your health. The darker the chocolate the better. My recommendation is 85% or higher. The good news is, its rich so you don’t need much. The flavanols in chocolate cause the endothelial lining in your arteries to produce nitric oxide which relaxes the arteries. There are many controlled trials that show that chocolate has an effective although mild effect on blood flow and blood pressure. It is worth noting that the EU Commission recently approved a health claim that 200 milligrams of cocoa flavanols can ‘help maintain the elasticity of blood vessels, which contributes to normal blood flow.’ This dose is equivalent to 2.5 grams (1 ¾ Tbsp.) high-flavanol cocoa powder or 10 grams of high-flavanol dark chocolate (about one-fifth of a regular size chocolate bar). 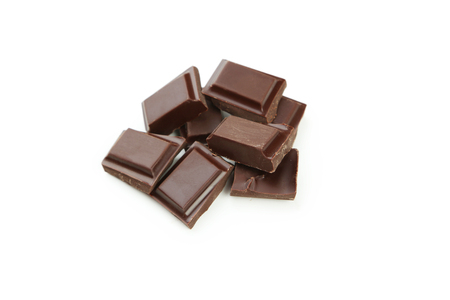 Dark chocolate raises the “good cholesterol” (HDL) and protects against the “bad cholesterol” (LDL). This is likely largely due to the antioxidant power of cocoa but the bottom line is that it is good for your heart. 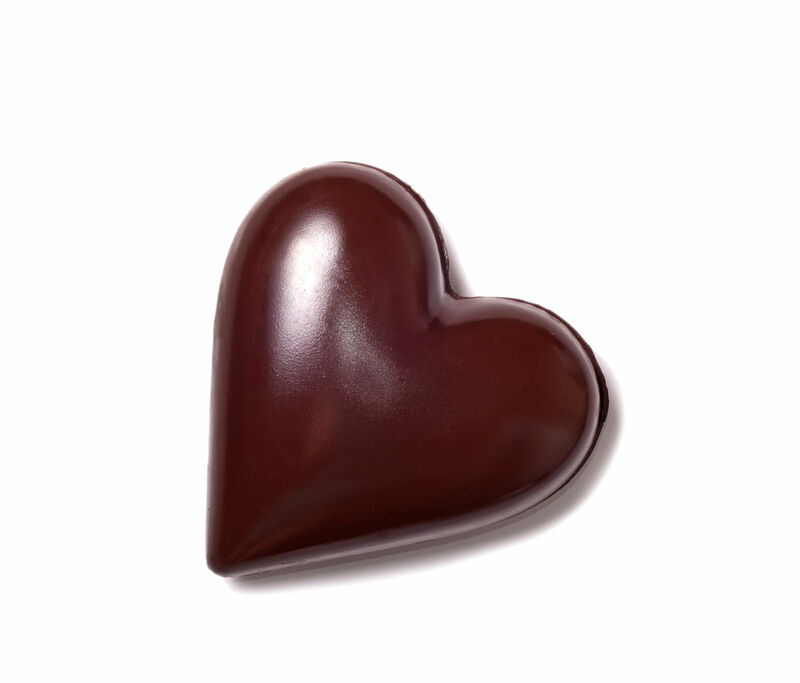 Another way chocolate is good for your heart is that it has been shown to lower insulin resistance. Not only is the good for your heart but it improves your risk for diabetes. Recent data presented at the annual meeting of the American Association for the Advancement of Science (AAAS) indicates that cocoa flavanols might improve blood vessel function in the brain. Researchers also demonstrated that cocoa increased blood flow to specific areas of the brain. Cocoa flavanols have also recently been linked to improved thinking. In an Italian study which was published in the American Journal of Clinical Nutrition, 3 separate groups of people aged 61 to 85 were studied. The first group consumed only 48 mg of cocoa flavanols (about 1 tsp) while the second group drank a medium amount (522 mg—about 2 ½ Tbsp) and the third group consumed a high amount (933 mg) After 8 weeks, people who consumed the medium and high amounts showed significant improvement on tests that measured attention, memory and executive function. With those benefits who wouldn’t want to consume chocolate regularly? The trick is avoiding the calories that usually accompany the chocolate in the form of fat and sugar. You really need to watch your portion. One or two squares is a good choice. If this is a challenge for you, unprocessed cocoa is a great way to go. It contains minimal fat and zero sugar. Processing cocoa, also known as Dutch process, reduces the flavanol content. So, stick with natural cocoa. It tastes delicious if you add it to a protein smoothie made with protein powder sweetened with stevia and some fruit. Or you can make a hot chocolate with some warm milk and stevia. If dairy is a problem for you just use almond or coconut milk as an alternative to cow’s milk. So, kick back, relax and make yourself a nice cup of cocoa guilt free and enjoy, just as we do in the snowy weather of February here in the Monadnock Region of NH. Other ways to increase your cocoa intake include adding it to your morning oatmeal with some cinnamon, adding it to your morning coffee to create a mocha flavor, try it in chili or swirl it into a plain Greek yogurt for an interesting turn on a healthy snack. You can create a rub for pork tenderloin with cocoa, onion and garlic powder, cinnamon, allspice and ginger or use it in a Mexican mole sauce. Here are two recipes you might enjoy: Chocolate Chili and Cocoa-Fennel Encrusted Pork Tenderloin.